The phrase “luxury vinyl” may seem like a contradiction when all you can picture are dated floors that look like cheap, faux tiles or warped and faded wood, but the style of vinyl flooring has changed dramatically over the past several decades. You can now purchase vinyl flooring that is a luxury because it’s beautiful, looks authentic, and can be customized in countless ways. If you’re looking for an affordable flooring option to update your home and make it more appealing, luxury vinyl flooring could be the best choice. 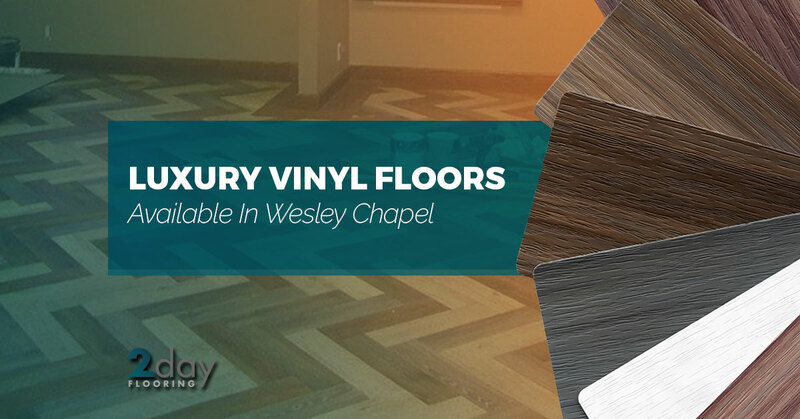 For more information about installing this type of flooring in your Wesley Chapel home, contact 2 Day Flooring, a Top Rated Local® flooring company. With so many options to choose from when updating your floors, luxury vinyl might not be something you’re even considering. Don’t discount the value that this style of flooring has, though. Luxury vinyl flooring has a more true look and texture than other types of materials. It also holds up against moisture, is resistant to dents, scratches, and stains, and is a cost-effective solution to create floors that are just as beautiful at hardwood or stone. When it comes to choosing luxury vinyl flooring, the sky is the limit for style. This material can be customized to look like a variety of woods, tiles, or stone, and there are unlimited color options for these textures. Luxury vinyl flooring can be installed in panels like hardwood or in slabs like tile or stone, giving it the more authentic appearance of these more expensive materials. Luxury vinyl flooring is a great option for high-traffic areas because it’s durable against normal wear and tear. You can have luxurious looking floors without the maintenance of other material. Vinyl is easy to clean and take care of compared to hardwood. It’s also significantly more affordable! You can have luxury vinyl flooring installed for half the price as other materials. Though luxury vinyl flooring is great for areas of your home where people spend a lot of time, it’s really a great flooring option for any room of your home. It remains a popular choice for many because it offers a variety of appearances, is durable, and is easy to take care of. 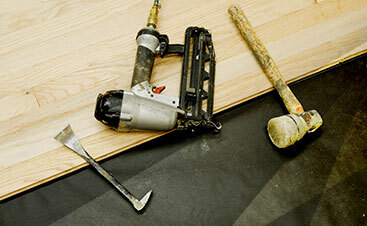 When it comes to installing your floors, choosing the material you want is only part of the process. It’s also important to choose the right flooring company to get the job done correctly and in a reasonable amount of time. 2 Day Flooring is a Top Rated Local® flooring company in Wesley Chapel because we offer professional and dedicated flooring services to our customers. Our goal for every job is to satisfy our customers and we meet that goal by providing experienced, quality, timely, and professional services. You don’t have to worry about your flooring project taking weeks to finish. We are called 2 Day Flooring because we are able to finish every job in just a couple of days. 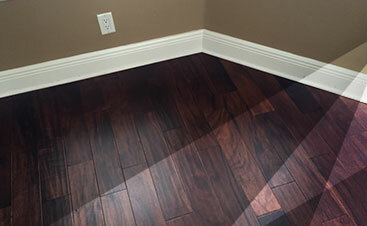 If you’re interested in having new floors installed, contact 2 Day Flooring today for an estimate.